Based at the Quateira Municipal Stadium, this location is an established warm weather training venue. 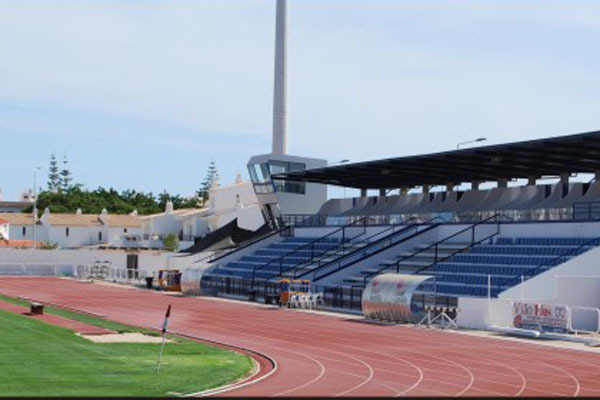 The stadium is located in the resort of Vilamoura, central Algarve and is within 500m of the local marina. 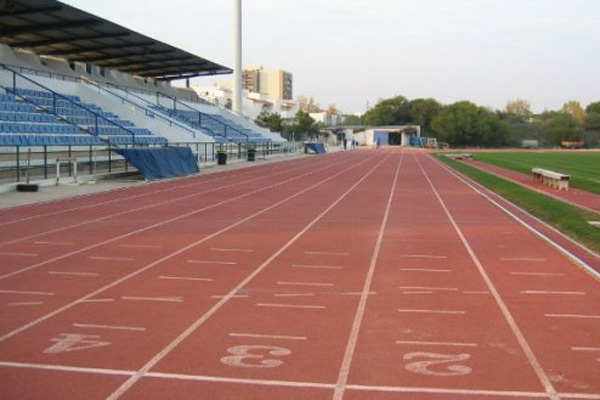 It is an ideal venue for sprinters, hurdlers, middle and long distance runners and long & triple jumpers. 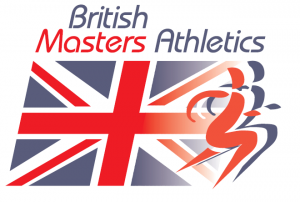 Whilst the stadium has high jump and pole vault and throws facilities these are only for supervised competition use, not for training, Road and off road running opportunities are good with excellent trails within 1 km of the track. Road and off road running opportunities are good with excellent trails within 1 km of the track. In 2000 the IAAF World Cross Country Championships were held here. 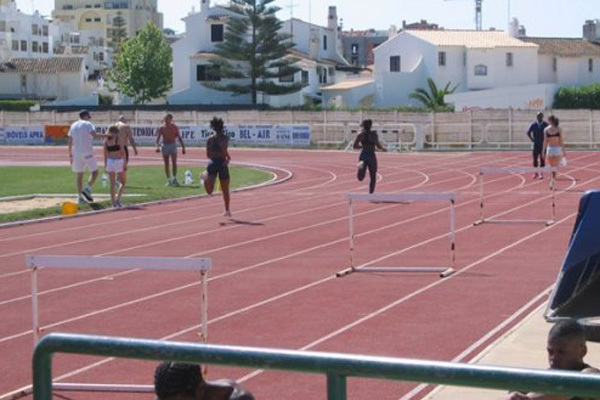 Vilamoura has safe bathing conditions and a long, sandy beach running virtually uninterrupted all the way to Faro. 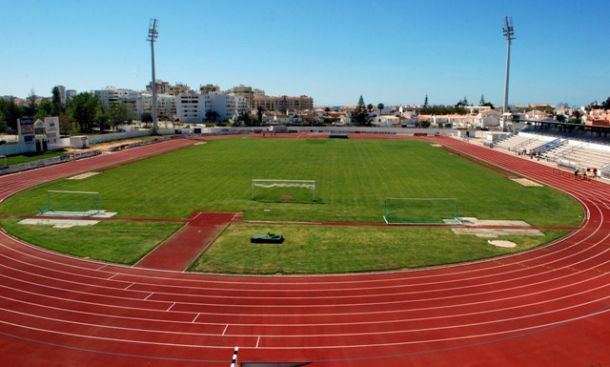 Although the sports centre does not include accommodation on site, there are several 3* and 4* hotels only 5 mins walking distance away in the Vilamoura area. 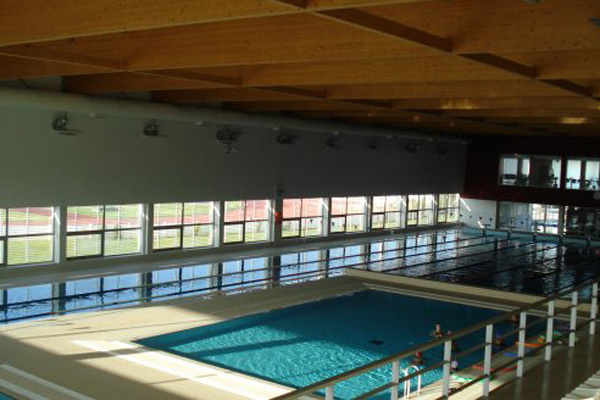 If is necessary to Pre-book all training sessions with ourselves prior to arrival, although payment can be made locally for the use of the sports facilities. Located just 600m from the stadium in a quiet residential area, and just 1 km from the marina with it’s shops and restaurants, and 1.5 km from the beach. Located 300m from the beach and the marina, and 600m from the track. Half Board / Full Board available at a supplement upon request. Flights can be booked independently or through ourselves and are quoted separately from the training package arrangements. We can offer flight options from any operating UK major or regional airport to Faro airport and we can coordinate return airport transfers for any number of athletes, if required. Fares from: £125 per person including luggage.